3. Maximize the Use of Printer Fonts – using printer fonts on the label (instead of TrueType) will help reduce the size of the label job and increase speed in printing. 4. 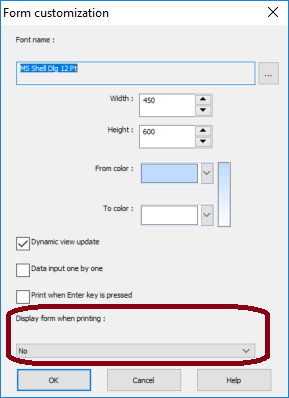 Do Not Allow “Display forms when printing” – displaying forms when printing will force CODESOFT to create a separate print job for each label. 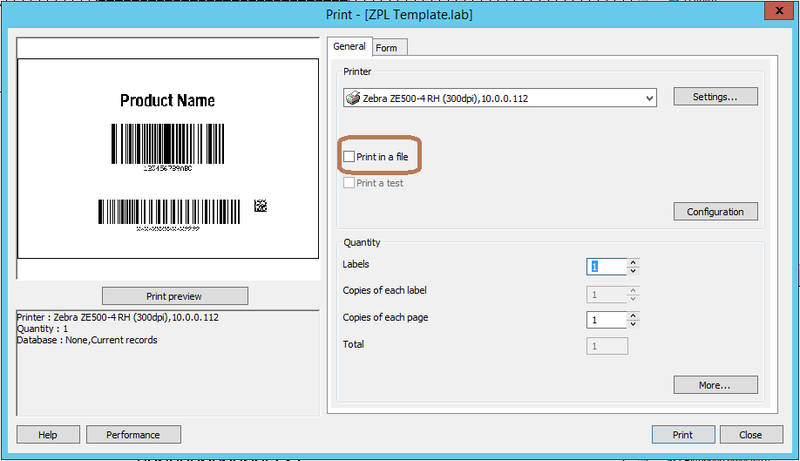 This will cause the label to not be optimized as the additional print jobs will queue in Windows spooler or pause CODESOFT. 5. 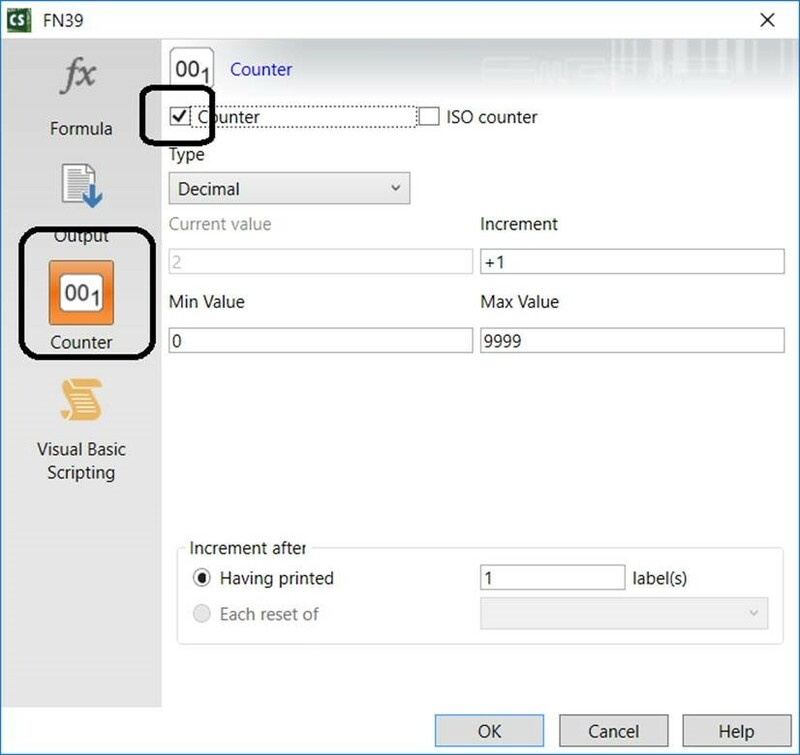 Use Embedded Counter in Data Sources – Linking a separate Counter to another Data Source can force CODESOFT to generate separate label code for each serialized label. If this happens, try using the Counter feature embedded inside the Data Source. 6. 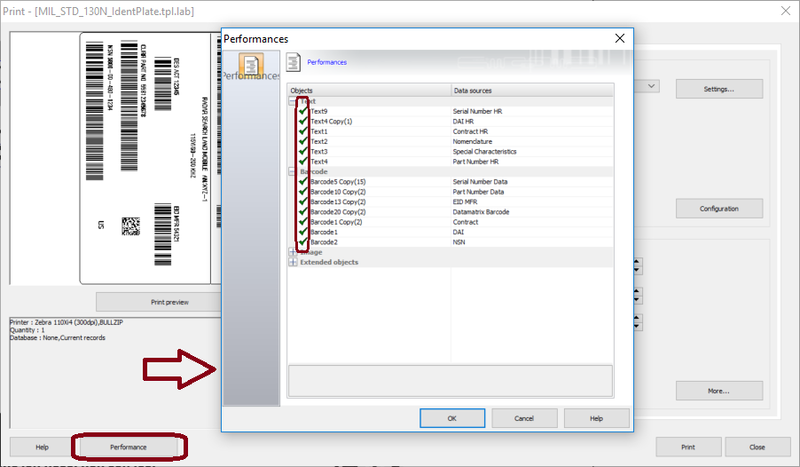 Check “Performance” – there should be a check next to each Data Source listed in the Performances screen. Troubleshoot any Data Source that does not have a check. 7. 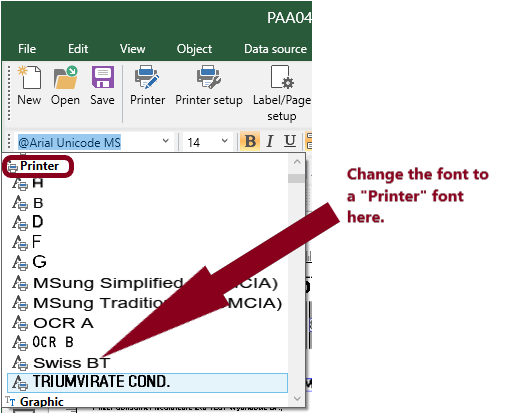 Print to File to Verify – look at the code to make sure it is optimized using the “Print to File” feature.